One of our members, working in the class room. 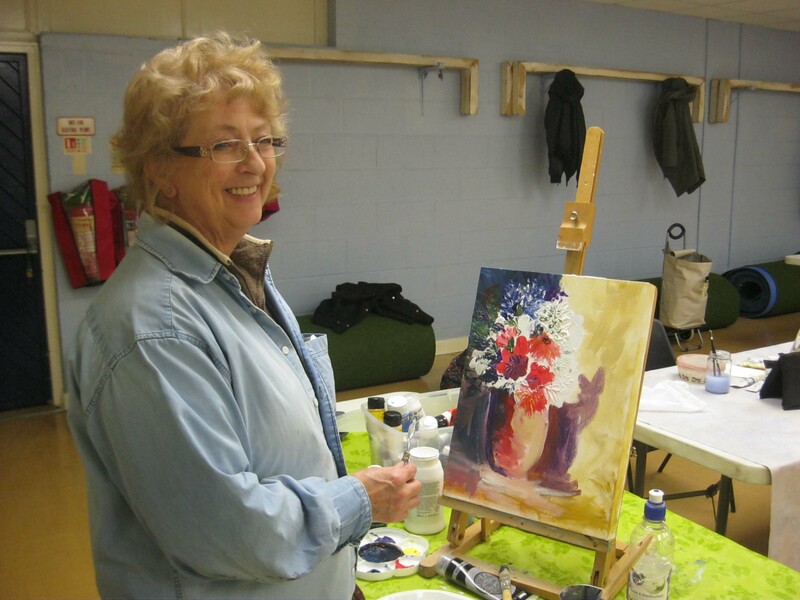 The weekly art classes are held throughout the Sefton area, including Liverpool. Each class do the same course content, starting with the very basics. We have members who have been coming for as long as 9 years. I'm often asked by new members how long will it take them to learn to paint! I strongly suggest that you give yourself at least six months to learn the basics if you join my classes. Like learning any new skill, you need time. I often relate it to when we learn to drive a car. Yes, the first lesson was difficult. The second lesson was easier and eventually you pass your driving test and driving becomes enjoyable and gives you so much freedom and you get into a car and just drive without any effort. Art is the same. 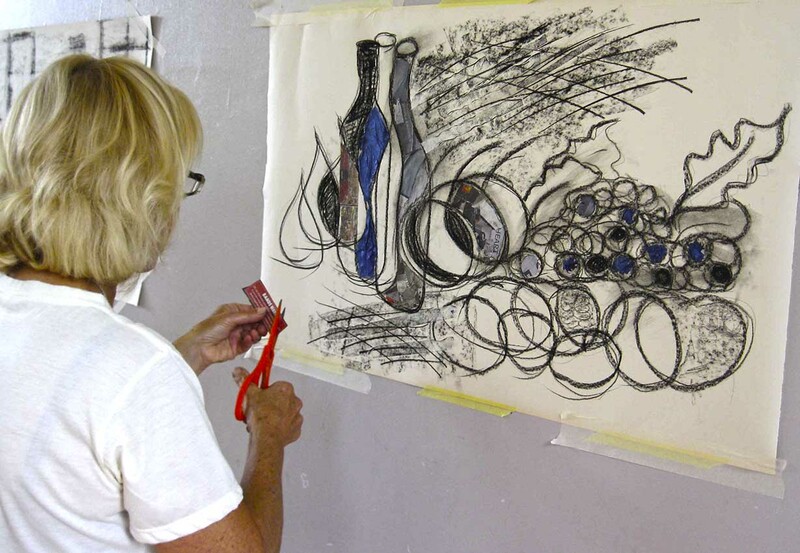 Once you move beyond the basics, then you can explore more creative ways of doing art. Once you have learned the basics, then you are able to work more independently. In other words, you can choose your subject matter, medium to use and so on. You may take on a particular project that interests you. Might be to do four paintings, depicting the changing seasons of the year. You will be taught how to think, draw and paint in a creative way. Otherwise, without being shown other ways of doing art, you will simply copy from a photograph, or someone else's painting. Yes, we do a bit of that when learning the basics, but the aim is for you to be able to express your interpretation of the world around you. You will also be introduced to various ways of doing art, including watercolour, pen & ink, acrylics and mixed media. Also encouraged to work on larger scale. Each class enrols for 10 consecutive weeks; then you can enrol for further blocks of 10weeks and we go through most of the year, with a break through August.